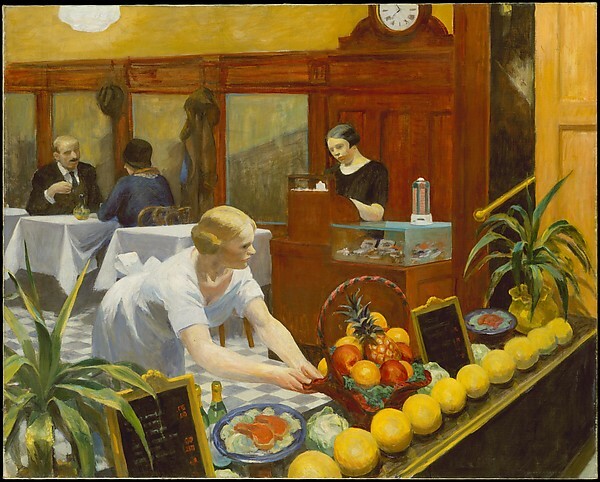 On April 17, 2015, the New York City Writing Project and Metropolitan Museum of Art co-hosted a Writing Marathon in the Met’s historic galleries. Participants drew inspiration from a variety of works of art. 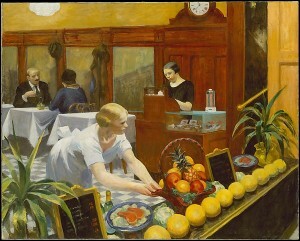 The poem below, New Voices, by Carla Cherry, was inspired by the painting Tables for Ladies (Edward Hopper, 1930, oil on canvas). surrounded by heads of lettuce. from tying this apron’s bow as tight as my smile? about her aching feet. She stands in the same spot. I pocket my clinking tips each trip from table to kitchen. We women got the vote. Swung our hips to the beat and smoked in public. 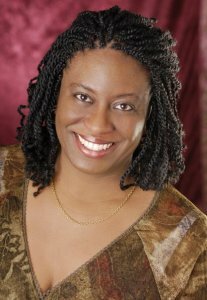 CARLA CHERRY is a native New Yorker, veteran English teacher, and poet. She self published a book of poetry, Gnat Feathers and Butterfly Wings.